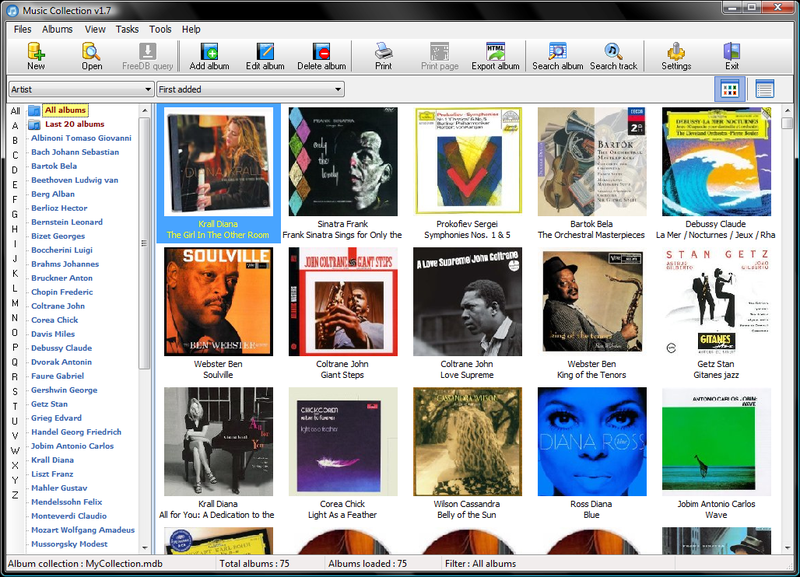 Music Collection is an easy program that allows you to archive your music collection. Using it you can enter in a collection all the music media that you own or you intend to. The program accepts all kinds of musical media (cd, lp, dvd-a, etc.) You can add or edit any kind of information concerning the albums in the collection and it is specially customized for entering classical music albums. tried it - have a large music collection , , lots of RAM , in a high spec pc , and kept geting message "run out of memory"